During the last couple of Formula One seasons and particularly so far this season, I have been very critical of Ferrari’s tendency to lean towards conservative race strategies. It was super exciting to see the team really go for the win in Canada, but on this occasion they actually pushed too hard. The race started well with Felipe passing Rosberg in the early laps and Fernando holding position, however a momentary lapse in concentration from Massa saw him spin out at low speed in turn one and drop to twelfth. 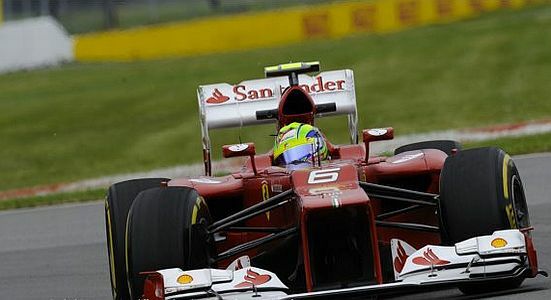 The Scuderia’s focus then switched to Alonso. By looking after his tyres and allowing Vettel and Hamilton to pit first, the magician was able to leap both drivers in the first pit-stops. Unfortunately he couldn’t manage the tyres as well in his second stint, falling behind Hamilton after running wide in the hairpin. However, the tables seemed to turn as it emerged that Vettel and Fernando would attempt to one-stop, to try to beat two-stopping Hamilton. Red Bull quickly realised that this wasn’t going to work and pitted the German driver to prevent him from going backwards on old tyres later in the race. Unfortunately, Ferrari picked this race as the one to try something more aggressive and committed Alonso to the one-stop system. This allowed him to pass Lewis when the Brit took his second stop, but in the last few laps Fernando’s tyres fell off “the cliff” and he was a sitting duck. Hamilton, Grojean, Perez and Vettel all passed him, demoting him to a fifth place finish. Despite this result, Alonso is still only two points behind Hamilton at the top of the drivers’ championship. Hopefully Ferrari will learn from this weekend and pick their battles more wisely in future. Hamilton was really on it this weekend and it was always going to be tough to beat him. If the team had covered off Vettel’s second stop instead of chasing a one-stop race, Alonso might have finished second and maintained his championship lead. Next time out at Valencia, it’s a home race for Fernando. Perhaps, with what the team has learned in Canada, he can win the European Grand Prix in front of his adoring Spanish fans. Joe Barron is the Community Evangelist at iPhone game developer, Kwalee. He is an avid racing gamer and has written sim & wheel reviews for GameSpot.com, CItizenGame.co.uk and HookedGamers.com. He’s also a massive Ferrari fan!